When Guyana’s first Executive President created the Guyana National Service (GNS) in October 1973, he had a vision for “a new Guyana Man and Woman, oriented towards their role in nation building.” He had envisaged a nation working together, with respect for each other, to develop our hinterland regions and defend our territory (1973 State Paper of the GNS, www.guyanapnc.org). Over the next twenty six years of the paramilitary organization’s existence, thousands of Guyanese youth spent a year or more at GNS hinterland centers cultivating and processing cotton, black-eye beans, peanuts, and other cash crops. For young men and women without job prospects, the GNS provided an opportunity to learn and develop new skills. 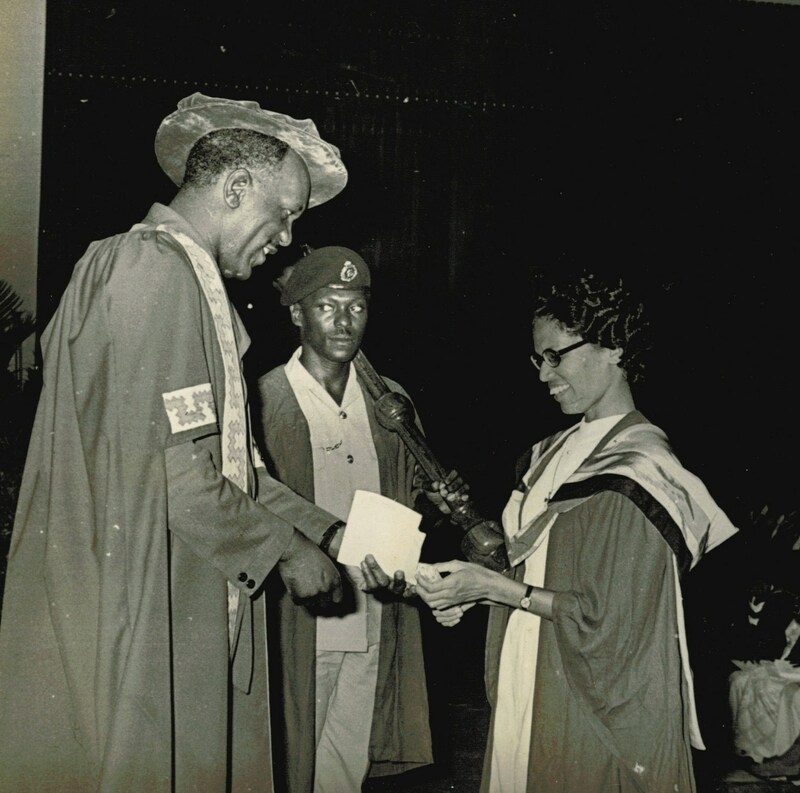 When the first GNS hinterland center began operations, I was a second-year undergraduate at the University of Guyana. In my final year, completion of one year of national service became a requirement for obtaining a university degree. Caught in the change, graduates 1976 were required to complete only three months of national service. With reservations about my safety, I resisted the requirement of spending three months in an isolated location in Guyana’s jungle interior. Moreover, I was a high school teacher, already doing my part in preparing our young people for their place in our young nation. Even though I had sacrificed a lot to attend university classes in the evening while teaching during the day, I was prepared to forfeit it all to avoid placing myself in harm’s way. I was not ready for such a sacrifice. Then the good news came. We would be serving in Georgetown, the capital. The first weekend that we assembled at the GNS Center in Sophia, we formed a unified mass in our parrot-green uniforms issued by the GNS. My name badge bore only my family name: Fung. Divided into four units, each under the command of a GNS Officer, we spent our weekends studying cooperative socialist policies for nation-building; doing marching drills and physical training; and engaged in agricultural activities. Mondays to Fridays, we served at various government agencies. I worked with six other graduates at the Guyana National Service Printing Center, setting up a staff library and executing other duties. Under the tutelage of army sergeants from the Guyana Defense Force, we had to conform to military modes of conduct. I was relieved that we did not have to train with rifles. Our platoon had a tough, buxom, female sergeant with a booming voice. 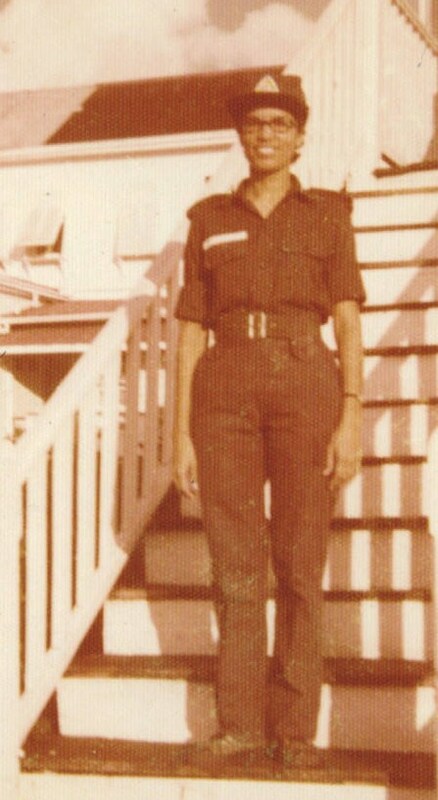 Within three months, from July to October, she transformed our platoon into a marching unit for a top-notch performance at our Passing out Parade – held in October at the University of Guyana Turkeyen Campus. Completing those three months of national service was an achievement for me. I had survived the marching drills, physical training, and agricultural work under the merciless Sun. Later that October, when we assembled in the auditorium of the Guyana National Cultural Centre for our graduation ceremony, we were no longer strangers. When our Brazilian Temporary Visas came up for review and renewal, I was working at Melon Exporters S.A. Since my estranged husband had returned to Guyana, I had to prove to the immigration authorities at the Federal Police Department that I was capable of providing for myself and two sons. “I am the import-export manager,” I said, showing him the Declaration from Melon Exporters S.A. stating my position and monthly salary. I had also brought a recent newspaper clipping about our company and its founder. Melon Exporters S.A. was a success story for the State of Ceará. We had a good export record. I was proud to be part of the team. My first inkling of trouble came when my colleague in the Finance Department shared her concerns about our financial woes. Melon Exporters not only had to contend with rising operational costs, but also the effects of prolonged drought in the semi-arid region. While the population of over two million in Fortaleza contended with water-rationing, the increased salinity in the shrinking reservoir, feeding our melon plantation, affected our yield, the size of our fruits, and their sucrose content. To preserve our overseas markets, the owner and managing director obtained agricultural lands along the bank of the Rio Jaguaribe, the life-line of Ceará. The new and ambitious project came at too great a cost. Our bankers’ refusal to renew our credit finance heralded the end. A bold strategy to inject life-giving working capital only prolonged our death throes. As the staff shrunk, those of us who remained had to assume the responsibilities of the departed. Providing our overseas clients with answers and updates on developments became my task. We, the five survivors, knew that the time had come to let go of the bond we had developed as a successful work team. Our last year-end staff party was dismal. Together with our spouses and children, we only filled two large tables put together at the open-air restaurant where we gathered to commemorate the passing of the year. No Santa Claus lifted our spirits with gifts for everyone. A team member and I won the two cash prizes. We exchanged gifts with our secret friends, picked two weeks earlier. My secret friend, the young receptionist and telephone operator, gave me a pair of drop earrings of a helm in black and gold – a memento I treasure to this day. For the first time in my professional life, I was part of a dying company. It shook my world and my confidence in working for small- and medium-sized family-owned enterprises. As a working solo Mom, I had to let go of the bond I had developed with my colleagues and the man who had given me so many opportunities to grow as an international trade professional. With a heavy heart, I had to move on. On the eleventh anniversary of the 9/11 attack on the World Trade Center, an Internet video clip of the film, “Innocence of Muslims,” triggered a wave of ongoing violent protests in Muslim nations across North Africa, the Middle East, and Asia. 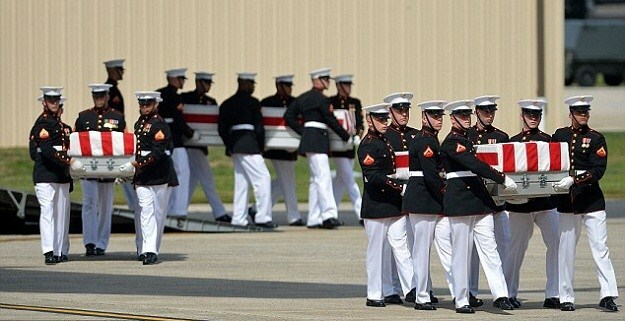 During the protest outside the U.S. Consulate in Libya, the U.S. ambassador and three other Americans lost their lives. The California-made film, according to reports, depicts the Prophet Mohammad as a womanizer, child molester, and fool. In the United States, such an expression of hate speech is protected by the First Amendment to the United States Constitution. During my first year as a newbie immigrant, I had difficulties adjusting to the freedom of expression I did not enjoy for many years in my native land. The ways in which Americans ridicule the president and other political leaders on national television shocked me. At my workplace, a co-worker was exercising her right of free speech when she told me that “(my) food stinks,” and left the table we shared with two other co-workers. That offensive remark is nothing compared to the hateful insults hurled daily at others in our schools, work and public places. Once a person is not inciting violence or there is no danger of imminent violence, hate speech is not a criminal offense in the United States. This is not the case in the majority of other nations. Under Article 19 of the International Covenant on Civil and Political Rights (treaties.un.org), “any advocacy of national, racial or racial hatred that constitutes incitement to discrimination, hostility or violence shall be prohibited by law.” While there is no agreed definition of hate speech in international law, many nations have clearly defined hate speech regulations. The producer and propagator of the video denigrating Islam have created a crisis situation for our nation, cost the lives of four Americans, the destruction of American property, and put the lives of Americans living and working in those countries at risk. These events should serve as a warning to our nation that, in the age of the Internet, hate speech can quickly spread beyond our borders and return to hurt us, and may even threaten our national security. Hate speech begins with me. Hate speech begins in my home. Although I have the right to use hate speech, today and henceforth, I endeavor not to express hateful things to or about others regarding their religion, race, ethnicity, sexual orientation, physical appearance, and more. I can disagree with others without using hate speech. Hate speech can erode the self-worth of another person. Hate speech can cause the victim to take his or her life. Hate speech can cause the victim to plan and execute vengeful killings. Hate speech can cause innocent people to lose their lives. Hate speech can start another war. Last week, I witnessed an arrest outside my office in Los Angeles. The handcuffed adult Latino man sat motionless and subdued on the sidewalk. He did not appear drunk or on drugs. A small gray duffle bag, with a red formée cross, lay nearby. Was the cross a gang symbol? Was he a wanted criminal? Whatever his crime, I figured it must be serious to involve five cops, in three police motor vehicles and a motor cycle. For half-an-hour, they conferred with each other, spoke on their phones, and took photos. After escorting the man to a vehicle, they all left the scene. The arrest disturbed me. I thought of millions of Americans who have lost their jobs and homes, and face hunger. They wait, handcuffed and subdued on the sidewalk, for our government to do its job of implementing solutions for our economic recovery. I recalled my own helplessness as a young working mother in my native land, Guyana. When my friends in the civil service complained of compulsory donations to the ruling party and compulsory volunteer work at a government-run agricultural project, I had felt immune as a private sector employee. My time came when the Deputy Prime Minister visited the foreign-owned bank where I worked. During his two-hour speech, he reminded us of our role in nation-building. The tension in the bank’s lobby left me with a nauseous migraine headache, lasting three days. With dwindling foreign currency reserves to pay our foreign debt, the Guyana government banned the imports of consumer goods, including wheat flour, and froze foreign payments for imports already shipped and awaiting clearance at the port. As a team member in the Foreign Exchange Department, I witnessed our clients’ devastation and loss of business. Frequent blackouts, intermittent water supply, food shortages, and increased crime became the new order. Rice and sugar, valuable export products, became hard to get as our government strove to increase export sales and earn foreign currency to buy oil and other vital imports. In Guyana, where the ruling party rigs elections to stay in power, our votes for change have little effect. In Brazil, voting is compulsory and becomes a tool for corrupt politicians who buy votes of the uneducated poor population and those of the working class seeking more secure government jobs. In the United States, millions of Americans do not exercise their right to vote. Some of you, like me, are disillusioned with both the Republican and Democratic parties governing our nation. Corrupt politicians pander to corporations – with US dollar reserves far greater than small developing nations like Guyana – that put them in power. With the US government hijacked and handcuffed, we cannot sit motionless and subdued on the sidewalk awaiting our fate. We nicknamed him “Watch Man.” For one month, the burly, six-foot, middle-aged, white American frequented the Jewelry and Accessories Department at the large retail store in West Hollywood where I worked. After making his first purchase of one of the more expensive wrist watches, he returned it a week later and used the total cash refund to buy another watch. On two subsequent occasions, he repeated the return-purchase transaction with different team members of our department. When his demands became obtrusive, he attracted the attention of the security staff. On that last visit, he left the store with his total cash refund, after having temporary use of four watches. 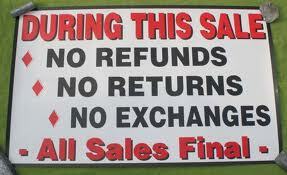 The practice of some buyers to purchase merchandise for temporary use occurred on a regular basis. On one occasion, I assisted a woman and her teenage daughter in selecting matching sets of necklace, earrings, and bracelet from our fine jewelry collection for an upcoming wedding. A week later, the Returns Department forwarded the same items to our department for re-stocking. Notable practitioners of what I consider “free” rentals were the acquisitions people from film and theatrical companies. The store manager once assigned me to attend to one such buyer who purchased several items of jewelry and clothing. That sales transaction, of over a hundred items, was the largest I had ever handled. Two weeks later, we had the task of re-stocking all of the items, with the exception of one necklace. The retail industry calls this practice of buying merchandise for temporary use “wardrobing,” owing to high returns of special-occasion clothing used for such events as graduations, weddings, Christmas parties, and job interviews. But the practice is not limited to clothing. Books, electronics, and power tools are other favorite items. Perhaps, “free renters” do not see their behavior as fraudulent use of the retailer’s customer return policy, but rather as an entitlement. Since they return the merchandise, they probably do not accept responsibility for the seller’s financial loss in re-stocking and re-selling used merchandise at a reduced cost. 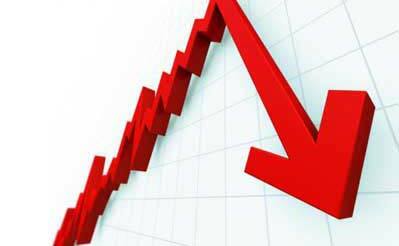 After all, the seller recovers its losses by increasing sales prices, affecting all buyers alike. The Return Fraud Survey Results 2011, issued by the National Retail Federation, reveals that fraudulent returns, including wardrobing, amounted to $14.37 billion in 2011. Of the 103 retail companies surveyed in October 2011, 61.4 percent suffered losses from wardrobing. As a result of the increase in wardrobing since 2009, 64 percent of retailers interviewed have changed their return policies in order to reduce fraud, making it harder for honest shoppers to make legitimate returns. Is the collapse of the American middle class responsible for this increase? Several means exist for cash-strapped citizens to obtain goods at no or low cost, without resorting to fraudulent practices: libraries, swap meets, rental companies, thrift shops, garage sales, and installment payments using Pay Later Catalogs. Is this rise in “free renters” a sign of a breakdown in ethical conduct, so lacking in our leadership?